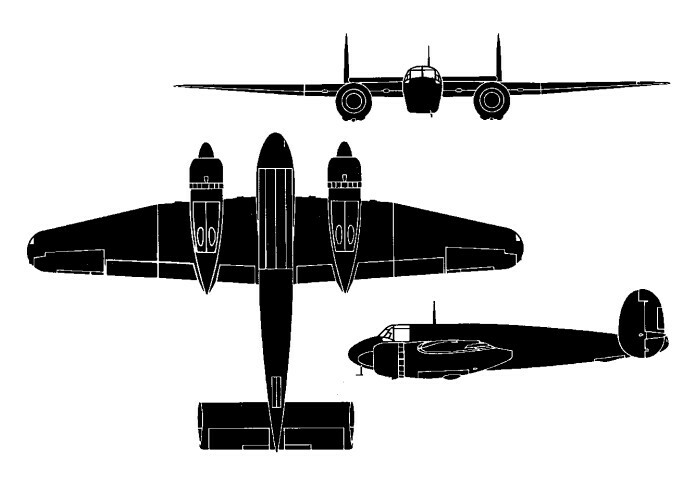 Derived from the Model 163 Buckingham as an advanced trainer, the Bristol Type 166 Buckmaster had considerable commonality with its predecessor, and the last 110 Buckinghams were converted to Buckmasters by installation of dual controls and other modifications. The first of two prototype Buckmaster flew from Filton on 27 October 1944, both aircraft being conversions from partly completed Buckinghams. One hundred and fifty sets of Buckingham components had been manufacturered when the contract was cut back and these were used for the Buckmasters, the first of 100 production aircraft being completed in 1945 and the last the following year. Several Buckmasters served with No. 8 Squadron at Aden on communications duties, but most were delivered to Operational Conversion Units to train Brigand pilots. Blind-flying instruction and instrument training could be undertaken and the normal crew complement was pilot, instructor and air signaller. The last Training Command Buckmasters served with No. 238. OCU at Colerne into the mid-1950s, while one or two were used on experimental work at Filton. One of these, probably the last survivor, was relegated to RAF Halton where it served as an instructional airframe until scrapped in 1958.